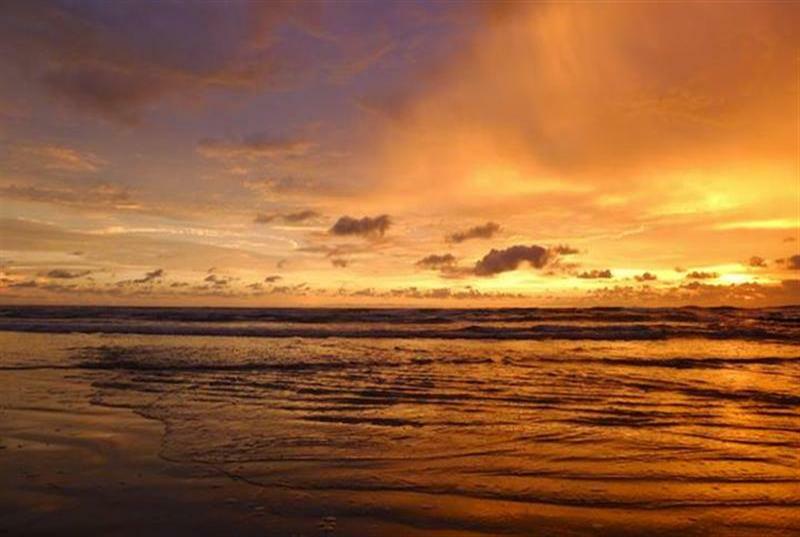 Breathe in the natural beauty of Costa Rica and the Pacific Ocean. with Yogarupa Rod Stryker, one of the West’s leading yoga and meditation masters. a weeklong ParaYoga Immersion in paradise, December 7th-14th, 2019! This retreat is currently sold out. You can click on “Buy” next to any room category at the bottom of this page to be added to our waitlist. Note: we have a male participant in search of a roomate to share his Eco Cottage. Please email kerry@parayoga.com if you are interested! 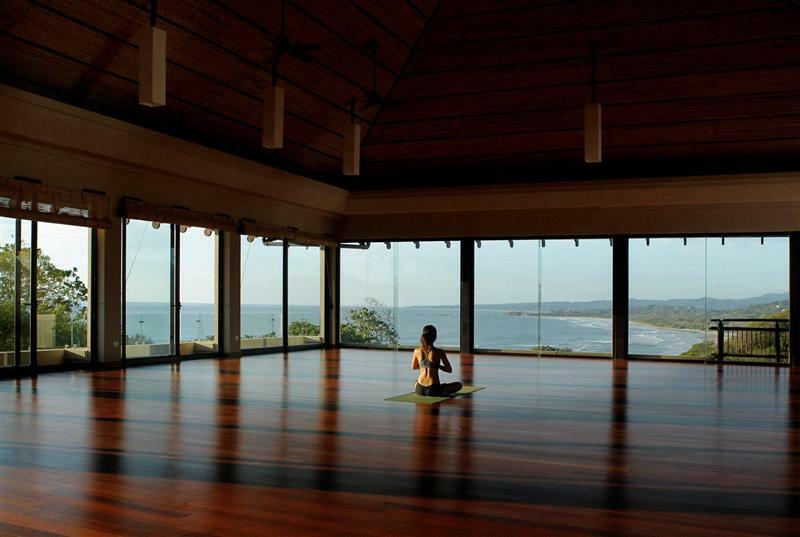 Experience an exceptional week of yoga, both on your mat and in nature. This time is dedicated to taking you deep into the heart of self-enrichment and renewal, clarity and freedom, healing and empowerment. 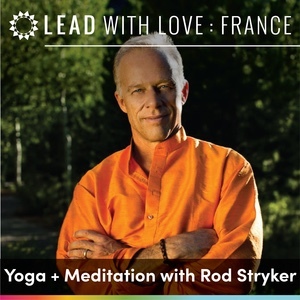 Rod will guide this week-long journey–suitable for all levels of practitioners–into the compassionate heart of the teachings and all that they offer to help you know peace and celebrate life. Yogarupa will lead you into practices and practical teachings, dedicated to ensure that the benefits of your time here will continue to unfold long after the retreat. Daily integrated and masterful yoga practices (featuring asana, pranayama and meditation) will anchor the week. Combined with yoga nidra practices and some self-reflection opportunities, you will be led toward the true treasures of practice: exalted body, illumined mind, vibrant soul and a remembrance of the Sacred. 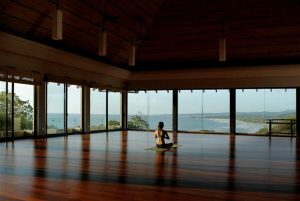 This retreat includes plenty of free time to be nurtured by nature, or rocked by the waves in the beautiful Pacific, just steps from the doors of our yoga space…. to savor the potential of yoga, tantra and meditation. Blue Spirit Costa Rica is one of our favorite places on the planet! 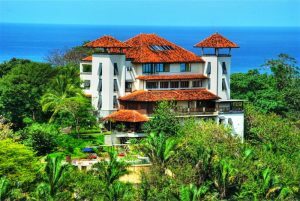 Rated by Yoga Journal in 2017 as one of the world’s “best yoga escapes,” it provides an extraordinary setting to all who are dedicated to spiritual transformation, personal development, and environmental sustainability. 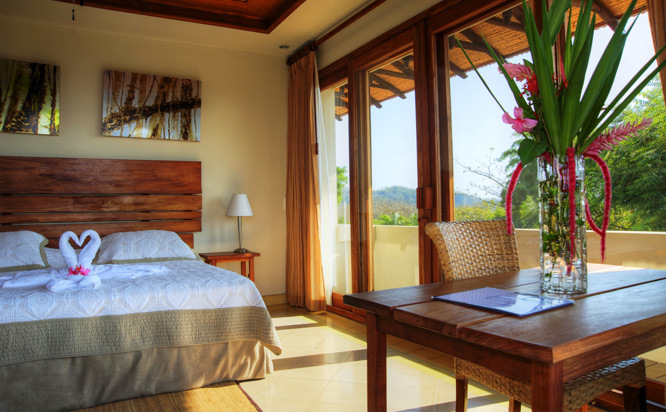 Perched on a hilltop that overlooks the Pacific Ocean and a three-mile long white sand beach that is protected as a turtle refuge – Blue Spirit offers an extraordinarily beautiful and natural setting on one of Costa Rica’s renowned beaches. We’ll enjoy 3 nourishing meals a day together, and twice-daily accessible, transformative asana and meditation practices. 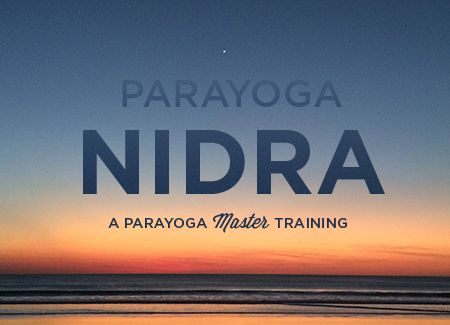 In the evenings we will have offerings of lectures and Yoga Nidra (deep yogic relaxation). People have asked us “Do you have to be an advanced student of ParaYoga to attend?” This is part of the magic of our annual retreat: it’s open to everyone. Each year presents a wide spectrum of students and culminates in a truly endearing group dynamic. From certified ParaYoga teachers needing to replenish themselves with the teachings of the tradition to students who have only experienced Yogarupa’s teachings online––everyone finds their inspired place within the container of this retreat. your accommodations, the ParaYoga retreat classes, meals each day and use of Blue Spirit’s beautiful facilities. 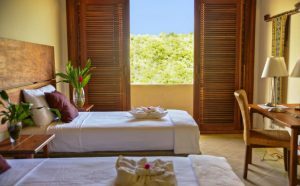 They do not include: airfare, airport transfers (scroll down for information about booking your airport shuttle), spa treatments or optional excursions. Please note that in order to be eligible for the per person double occupancy rate, you will need to have 2 paying adults in the room. Once you have made your reservation in a double occupancy room, please send an email to kerry@parayoga.com to notify us of the name of your roommate. And, even if you think you could never, ever imagine cancelling your participation in this amazing retreat, please scroll down to read our cancellation policy (purchasing trip insurance is recommended, see cancellation policy for more information). The following are located in the main building: Superior Ocean View Rooms, Ocean View Rooms, Mountain View Rooms and Hermitage Rooms. Nature Suites, Eco Cottages, Pacifico Cottages and Tent Platforms are down the hill from the main building, accessed by beautiful sets of stairs that wind through the jungle. but we suggest not waiting until August 7th to book: most room categories are typically sold out long before then! This room category is sold out. Please click on “Buy!” at the bottom of this event page to join the waitlist for this room category. 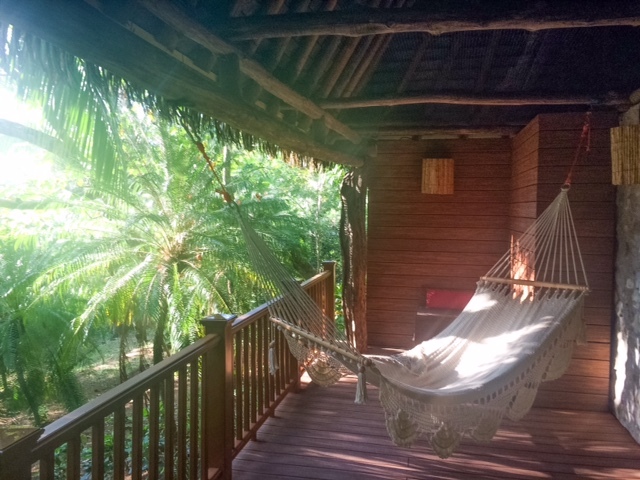 The Pacifico Cottages are tucked away amidst the lush tropical gardens and close enough to the sandy Pacific Beach so that the sound of the Ocean will rock you into sleep. Perfect for a couple, these beautiful and rustic new rooms feature a private porch with a hammock, 1 queen bed, an outdoor shower, air conditioning, and a safe big enough to fit a 17″ laptop. From the main building the Cottages are a short walk down the hill towards the beach. 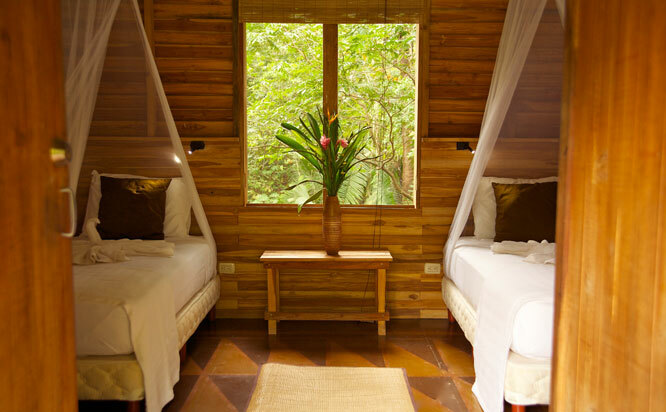 Nature Suites are very cozy and located on a hillside overlooking the lush vegetation. They are simple and natural wood frame structures and have private bathrooms with an outdoor shower overlooking the jungle. Each Suite sleeps two people in either a king bed or two twin beds and includes a separate enclosed porch with a desk. All Suites have solar hot water as well as air conditioning. The Suites are a short walk up the hill to the Main Building. Nature Suites have a safety box large enough to fit a 17″ laptop computer. 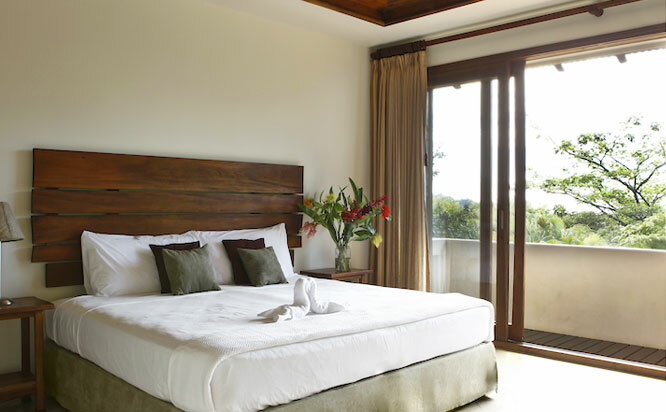 These rooms are specifically designed for singles and provide privacy and elegance, while being cozy and inexpensive. 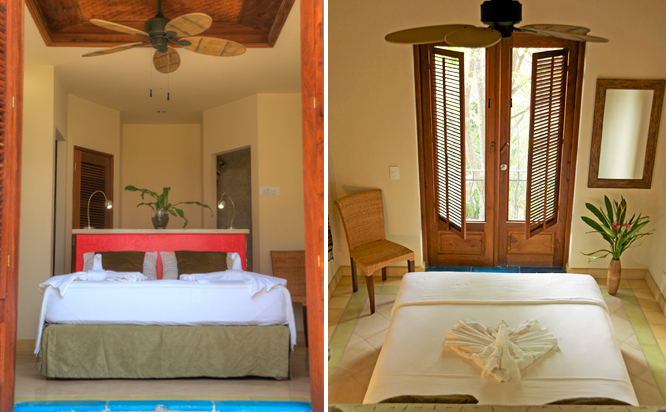 Many of these rooms have partial views of the ocean and others of the mountains nearby, a queen-sized bed, a private bathroom with solar hot water and a air conditioning. Hermitage Rooms have a safety box large enough to fit a 17″ laptop computer. These rooms are specifically designed for two people and provide privacy and elegance, while being cozy and inexpensive. Many of these rooms have partial views of the ocean and others of the mountains nearby, two twin beds, a private bathroom with solar hot water and a air conditioning. Hermitage Rooms have a safety box large enough to fit a 17″ laptop computer. Glamping option: Blue Spirit also has tent platforms, which are single occupancy only. Tent, queen size bed, linens and fan/lights are all provided. Commuter Fee: Once the retreat is officially sold out, Blue Spirit issues us 3 commuter spaces for students staying off property: $1075 per person. If a child shares a room with 2 adults / parents, then there is no extra housing charge – only the meal charge. If a child shares the room with a single adult, then the parent pays a Single Occupancy room charge plus the meal charge for the child. 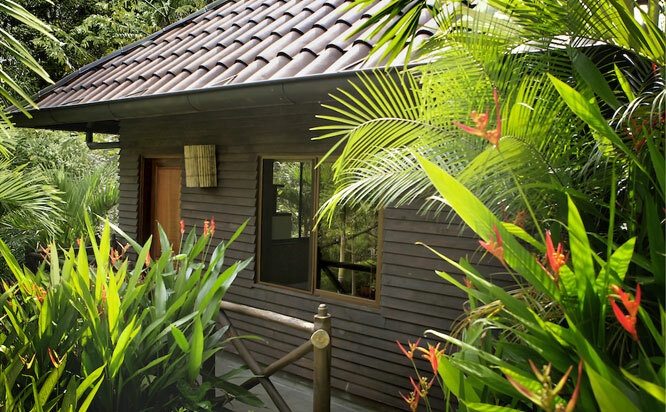 Note: best room category for sharing space with your little ones is the Nature Suite. Any teen wanting to participate in the actual programs must be registered at adult package fees. A non-refundable deposit of $500.00 is due at time of registration. This deposit is non refundable AND non transferable. You are also welcome to pay in full upon registration. Regular registration rate: Goes into effect for any registrations on or after August 8th, 2018. Payment in full is due no later than October 7th, 2019 (60 days prior to retreat start). •The $500.00 per person deposit is non refundable and non transferable. •Cancellations on or before October 7th, 2019: You will forfeit your deposit of $500.00 plus a cancellation fee of $100.00. The remainder of your payment will be refunded to you. •Cancellations on or after October 7th, 2019: You will forfeit ALL money rendered. Looking for someone to share a room with? Read on! Please note that the ParaYoga office is not responsible for connections made on these Facebook pages or for their content. The retreat starts after dinner on Saturday, December 7th. December 7th will be your travel day and day to check in at Blue Spirit, enjoy dinner and then gather as a group. The retreat ends on Friday night, December 13th. Saturday, December 14th, will be your day to check out from Blue Spirit, enjoy breakfast and then travel home. 7 nights of accommodations, starting Saturday, December 7th. 3 gourmet and organic meals per day, served buffet style, starting with dinner on Saturday the 7th, and ending with breakfast on Saturday the 14th. Daily yoga classes with Yogarupa Rod Stryker. Wednesday: after the 9:30am-12pm morning class, this is your free day! Feel free to do nothing, to surf, to explore Nosara etc. Blue Spirit’s front desk staff will assist you in signing up for a la carte activities. Thursday, after the morning class, there is no class until after dinner, so another afternoon to feel free to do nothing, to surf, to explore Nosara etc. Blue Spirit’s front desk staff will assist you in signing up for a la carte activities. Airport shuttle is NOT included in your package price. Please arrange for this directly with Blue Spirit resort. The cost of their shuttle between Liberia airport and Blue Spirit is about $65 to $70 each direction. Upon arrival there will be a person to greet you and guide you to your shuttle. He will have a Blue Spirit sign. When you arrive you should allow 30 – 60 minutes to go through immigration, customs and baggage claim. Once you have retrieved your luggage and passed customs, your shuttle organizer will be waiting outside the only terminal exit at LIR. The organizer will be wearing a Blue Spirit T-shirt and will greet you with a sign that says BLUE SPIRIT. The shuttle will depart when it is full and all the arriving guests are in the shuttle – we don’t leave anyone behind – so you may need to wait a few minutes until everyone is in the shuttle. If your flight is delayed, rescheduled, AND SPECIALLY if you miss a connection, please contact Blue Spirit at +1.845.684.2007; this is a US number where you can reach Blue Spirit. If you have any issues while you are in Costa Rica please contact us at our local number 2656.8300. Blue Spirit also has all your flight information and will be tracking flights, so they are also keeping track of delays or re-scheduling and there will still be a shuttle waiting for you at the airport. The ride from Liberia Airport to Blue Spirit is between 2 and 2.5 hours. For your departure, there are several group shuttle services departing Blue Spirit between 4:00 a.m. and 11:00 a.m. You should plan to be at the airport two hours before your flight departs. Please note: The exit tax which you pay upon departure from Costa Rica is $29, and can be paid in Costa Rican Colones, US Dollars, or credit cards. If you have mobility issues, be sure to check the location of your room before booking. Many room options will have a long flight of steps to reach our reception desk. The dining and pool will be on different levels, sometimes several flights of stairs away from your room. Because the additional accommodations beyond the main building are built along a hill, outdoor exploring around will involve walking on steps. There is an elevator in the main building. Should I bring a towel? Blue Spirit provides towels for bathing, but not for the beach…plan to pack a small beach towel or sarong for this purpose. Should I bring my own yoga mat? You don’t need to bring any of your yoga stuff…they have all of it there! I have dietary restrictions, can Blue Spirit accommodate them? In our experience, Blue Spirit has been very accommodating to students with specific dietary needs. Please let us know ahead of time so that we can communicate to the Blue Spirit culinary staff. Do I tip at Blue Spirit? There is a $60 fee added to your bill which covers gratuities for the employees of Blue Spirit (you are welcome to change that number so that it’s less or more, at your discretion). That fee does not cover tips for massage therapists. Other tips to consider during this retreat are small tips for shuttle drivers who are not employees of Blue Spirit, and tips for activity leaders/guides should you decide to go on a nature tour, take a surf lesson, etc. Can I drink the water there? Yes! Blue Spirit has their own well and a state-of-the-art filtration system. Do I need an adapter to plug in? Blue Spirit has two-prong outlets, just like the ones in the US. Can I bring the kiddos? There is no onsite childcare, but if you are traveling with an adult who can care for the children while you are in class, they are welcome to join. The Nature Suites have the most room and so are the most family-friendly. Can you speak to currency needs and exchange? Can credit cards be used for non inclusive charges? Blue Spirit takes credit cards and so do many shops in the area. You do not need to travel with a lot of cash and many places accept USD. Is Wi-Fi available for communicating back home? Yes, stronger in some places than others, but yes. It’s Blue Spirit casual 🙂 That means the only thing not allowed during meals is bare feet and bathing suits. Clothes and shoes are required. Superior Ocean View Room: Single Occupancy $3,490.00 $3,290.00 This ticket is for a single occupancy of a Superior Ocean View room. You may pay in full or pay only the $500 non-refundable, non-transferable deposit to reserve. Early bird balances are due by August 7th. Please read our cancellation policy! Buy! Superior Ocean View Room: Double Occupancy $2,665.00 $2,465.00 This ticket is for one person staying in a double occupancy Superior Ocean View room. You may pay in full or pay only the $500 non-refundable, non-transferable deposit to reserve. Early bird balances are due by August 7th. Please read our cancellation policy! Buy! Ocean View Room: Double Occupancy $2,460.00 $2,260.00 This ticket is for one person staying in a double occupancy Ocean View room. You may pay in full or pay only the $500 non-refundable, non-transferable deposit to reserve. Early bird balances are due by August 7th. Please read our cancellation policy! Buy! Mountain View Room: Double Occupancy $2,355.00 $2,155.00 This ticket is for one person staying in a double occupancy Mountain View room. You may pay in full or pay only the $500 non-refundable, non-transferable deposit to reserve. Early bird balances are due by August 7th. Please read our cancellation policy! Buy! Pacifico Cottage: Double Occupancy $2,335.00 $2,135.00 This ticket is for one person staying in a double occupancy Pacifico Cottage (queen bed only). You may pay in full or pay only the $500 non-refundable, non-transferable deposit to reserve. Early bird balances are due by August 7th. Please read our cancellation policy! Buy! Nature Suite: Double Occupancy $2,310.00 $2,110.00 This ticket is for one person staying in a double occupancy Nature Suite. You may pay in full or pay only the $500 non-refundable, non-transferable deposit to reserve. Early bird balances are due by August 7th. Please read our cancellation policy! Buy! Hermitage Twin Room: Double Occupancy $2,080.00 $1,880.00 This ticket is for one person staying in a double occupancy Hermitage Twin room. You may pay in full or pay only the $500 non-refundable, non-transferable deposit to reserve. Early bird balances are due by August 7th. Please read our cancellation policy! Buy! Hermitage Couple's Room: Double Occupancy $2,080.00 $1,880.00 This ticket is for one person staying in a double occupancy Hermitage Couple's Room (queen bed only). You may pay in full or pay only the $500 non-refundable, non-transferable deposit to reserve. Early bird balances are due by August 7th. Please read our cancellation policy! Buy! Hermitage Single Room: Single Occupancy $2,355.00 $2,155.00 This ticket is for a single occupancy of a Hermitage Single room. You may pay in full or pay only the $500 non-refundable, non-transferable deposit to reserve. Early bird balances are due by August 7th. Please read our cancellation policy! Buy! Eco Cottage: Double Occupancy $1,850.00 $1,650.00 This ticket is for one person staying in a double occupancy Eco Cottage. You may pay in full or pay only the $500 non-refundable, non-transferable deposit to reserve. Early bird balances are due by August 7th. Please read our cancellation policy! Buy! Tent: Single Occupancy $1,810.00 $1,610.00 This ticket is for a single occupancy of a Tent. You may pay in full or pay only the $500 non-refundable, non-transferable deposit to reserve. Early bird balances are due by August 7th. Please read our cancellation policy! Buy!